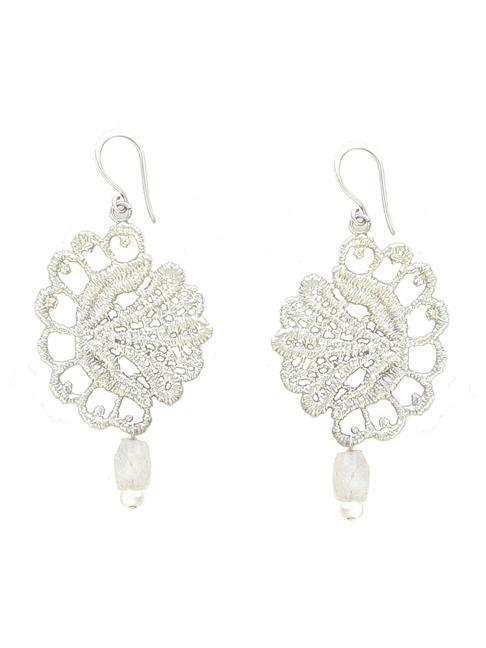 These sterling silver earrings feature casted lace flowers made from vintage lace. 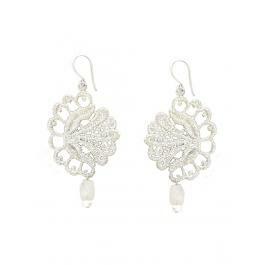 They are adorned with moonstone drops and cream freshwater pearls. They measure 2" in length.